The Texas Rangers sit 1 1/2 games ahead of the Cleveland Indians in the race for the best record in the AL and their magic number to clinch the American League West is five. They’ve looked nothing like a contender in recent games though in dropping three of their last four, and the sharp money has come in on the visiting Los Angeles Angels for Monday’s contest. 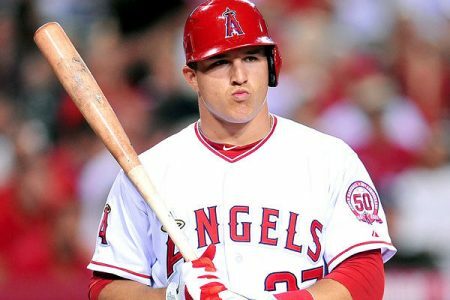 The Halos opened as a +152 underdog but are now +140, despite more than 80 percent of the tickets backing the Rangers. Texas starting pitcher Martin Perez (10-10, 4.20 ERA) was ripped for seven runs and 10 hits in six innings at Los Angeles on July 20 while Angels right-hander Jhoulys Chacin (5-8, 5.43 ERA) has made three appearances – one start – against Texas this season and surrendered a total of four runs in 12 innings. Mike Trout is red hot for the visitors going 5-for-12 with a pair of walks in his last three games. Angels are 2-5 in the last 7 meetings in Texas. Rangers are 1-4 in Perezs last 5 starts vs. Angels. There’s still value on the Angels, but the value is questionable if/when they drop below +135.